I was recently reading on the internet or in an email that Zillow.com reported a drop in home values alone of over $2.5 Trillion in value. Selling a property in today’s uncertain market is a major concern for investors, homeowners and individual property owners. Less than three years ago one in four hundred real estate transactions were seller financed. Today they are predicting one in fifty real estate transactions to be seller financed (I believe it’s even more than that about three in 100)! In short, there are more individually held first position performing notes secured by property for us in the seller financed note business to go after, which means more opportunity to get our marketing seen, which means higher response rates, which means more accepted prices and more closed transactions. This year in the seller financed note business I am looking forward to an increase in both volume and closed transactions. 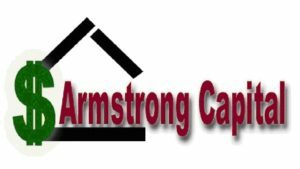 Especially, with the way the economy is right now, possible capital gains tax breaks being discontinued at the end of 2012 and in the continuing recession, people need money and will be more agreeable to accepting one of our pricing options. Will you be getting your share? Every January there is usually a surge of would be entrepreneurs seeking advice on how to start a business; I am referring to any business not just the Note Business. By March though, the surge dies down as the New Year’s resolutions loose their shine. One by one, millions of start-up dreams give way to life as usual. With the right tactics and tenacity, though, you can go beyond life as usual and enjoy the passionate, creative and fulfilling life of an entrepreneur. To make sure you succeed in starting up in the Note Business or any other in the year ahead – follow these recommendations. Know what you’re after. For a dream to be realized, it has to be built on reality – your reality. Define what you love doing, what you are good at doing and where you have experience. Also, get clear on what resources are available, what you’re willing to risk and what you ultimately want to gain. Put your answers in writing to use as a compass for all decision making. This should help you avoid a situation where you end up working for your business instead of your business working for you. Research extensively but quickly. Search the internet, conduct a brief survey, read industry studies, attend trade shows – do everything you can to be smart about your business niche. Apply that learning to your specific concept to make sure all of your operational, financial and customer assumptions are on target. Test-drive your assumptions. As quickly as possible, test your ideas on customers. Your first handful of customers will teach you more about your business opportunity than anything else will. Just be prepared to go back to the drawing board – initial feedback may require you to change key assumptions. Monitor progress with milestones. Create a chart that shows dates by which you plan to achieve major milestones. Include things like “launch website,” “Close 1st transaction,” “break even,” “Close 10th transaction,” etc. Hitting the milestones is important, but even more critical is adjusting your course when you don’t. Use the buddy system. I’ve always been more focused and effective when I’ve had someone to talk to about my business. For some people this can be a mentor; for others a paid coach. For me, simply having a buddy who is smart and supportive and who holds me accountable for my wide-eyed entrepreneurial ambitions has done the trick. Knowing that you have to report adds a level of discipline to your work and may be just what you need to help you realize your start-up dreams. OK, so with all of that said, now re-read though this article keeping in mind that you want to start or continue your recently started seller financed note business. Is the note business for you? Do you have the qualities and background that would be beneficial in the note business? etc. If you decide that the Note Business is for you, take action and move forward.